The Invest Local Book Blog. : 3-time business-seller spills the beans in the February Business Buyer Adventure expert call. 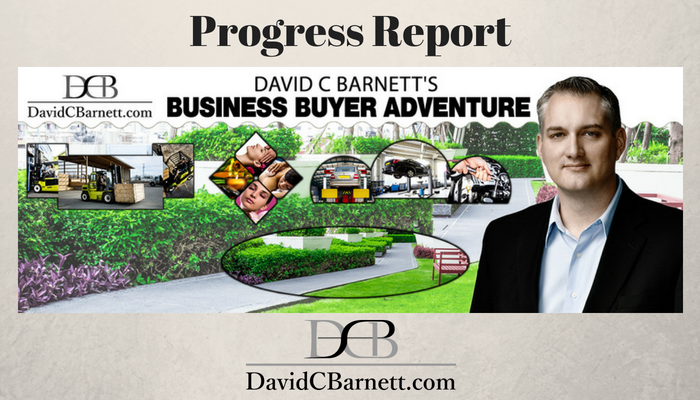 3-time business-seller spills the beans in the February Business Buyer Adventure expert call. The Business Buyer Adventure group now has representation from 5 states and 3 continents! Watch this video to see what's been going on in the group. Remember, each and every month more and more content is added to The Business Buyer Adventure and so the value keeps going up but the subscription price you pay remains the same! One of the neat features of the group is that each and every month I get an expert to contribute who can comment either on the process of buying a business or on some skill that will help you once you buy your business. This month, I had 20+ year LMI franchisee Paul Hindelang come and talk about goal setting to get 2019 off on the right foot. For February, we have 3-time business seller Mike Finger who will give us an insight into the crazy minds of people selling a business and he'll contrast his feelings from the first sale to those that followed. Join the group. Meet others like you. Participate in our group calls and learn from other member’s deals. Who uses Gillette razors? Biff or Marty McFly? Worker Co-ops. Another way to exit a business?